Tell your friends and family! Camp Moshava Wild Rose is selling Mah Jongg cards again this year. Make checks to ‘Camp Moshava’ and send to the camp office (3740 W. Dempster, Skokie). Include your name, ph #, address and specify the # of ‘standard’ ($7) or ‘large print’ ($8) cards you want. Or call the office to place an order. 847-674-9733 x12. All orders must be received by Jan 15.  Camp Moshava of Wild Rose, WI is now open for registration and will hold an informational meeting for returning and prospective campers and their parents. The meeting will take place on Wednesday, November 28th at 7:30 pm at the home of Rabbi Jeff and Aviva Ney, 17521 Alta Vista, Southfield, MI 48075. Come meet with Josh Zwelling, Camp Director, to hear about camp’s exciting new programs for summer 2013. Don’t miss out on special incentives including our six weeks of camp for the price of four! For more information, call the camp office at 847-674-9733 x11. We hope to see you there! Click here for the full flier. Camp Moshava of Wild Rose, WI is now open for registration and will hold an informational meeting for returning and prospective campers and their parents. The meeting will take place on Sunday, November 18th at 7:00 pm at the home of Heather and Sam Sered, 5681 Manor Oak Ave, Hollywood, FL 33312. Come meet with Josh Zwelling, Camp Director, to hear about camp’s exciting new programs for summer 2013. Don’t miss out on special incentives including our six weeks of camp for the price of four! For more information, call the camp office at 847-674-9733 x11. We hope to see you there! Click here for the full flier. Tzevet applications for summer 2013 are now available online. Fill one out as soon as possible because spaces are limited! If you have any questions about the application or the new schedule of dates for this summer, please email us at moshava@moshavawildrose.org. Click here for the online application.